Crunchy Chikki Double Mazza is a traditional sweet snack that is well liked by Indian tooth for its rich great taste and aroma. The chikkis are well known for their crispy texture and is well liked as a snack alone or can be served with other snacks. 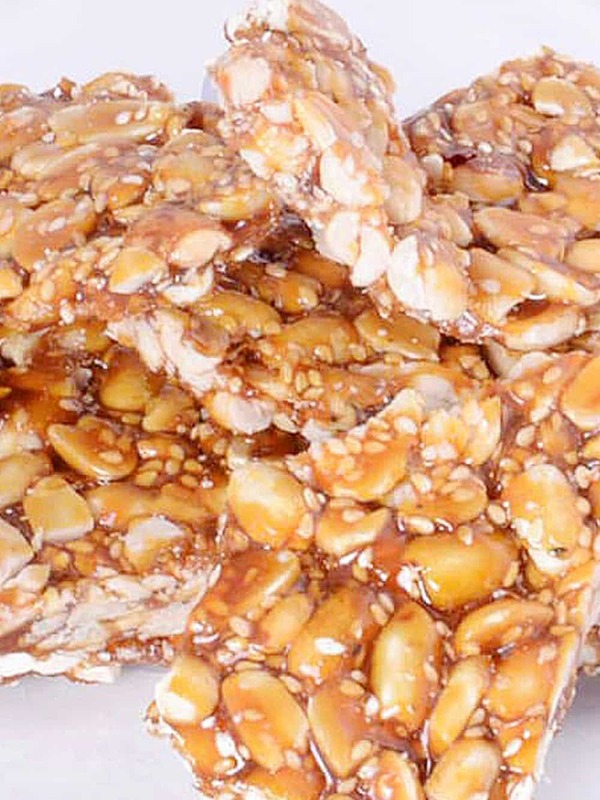 It is kind of a sweet candy that is well prepared with sesame seeds (Till), peanuts, jaggery, cardamom, sugar, glucose and pure fat. As far as the shelf life of this chikki goes it will be 90 days. Moreover, we at foodfeasta supply the crunchy chikki double mazza from Shri Shyam Tilpatti Udyog those who are in the industry since years now. Thus, as far as quality is concerned you can be rest assured.